AWARDEES. The regional Philippine National Police (PNP) recognized provincial and local police stations for their outstanding performances that resulted for the regional police headquarter receiving commendation from their national headquarters. The Jan. 16 event was attended by PNP Regional Director Chief Supt. Dionardo Carlos and members of its advisory council headed by Dalmacio ‘Massey’ Grafil. 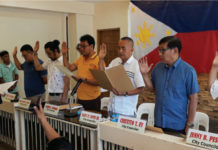 CAMP RUPERTO KANGLEON, PALO, Leyte- At least three police provincial directors here in the region were reassigned from their posts as part of the police organization’s policy to remain neutral as the country is set to hold elections this May 13. Chief Supt. 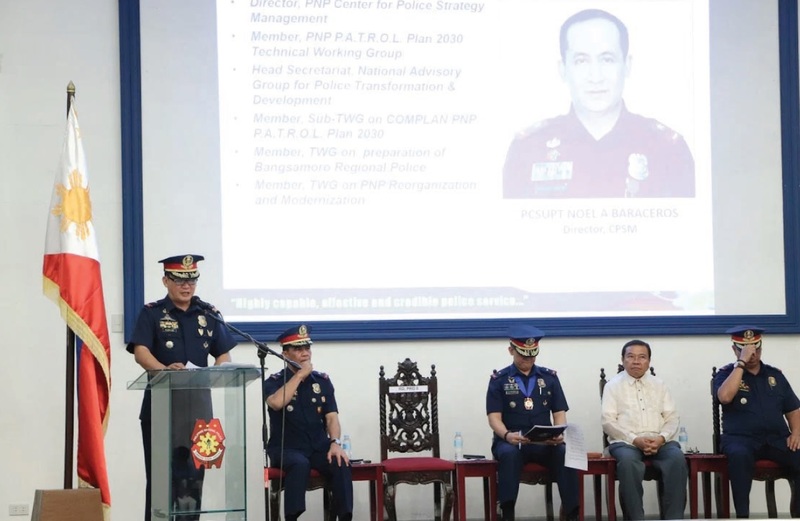 Dionardo Carlos, police regional director, said that the three affected officials have been in their posts of at least a year, a period which he said could have made them established ‘familiarity’ among the candidates running in the elections. “Election period kasi. We rotate our field commanders, especially those in position of at least one year. We want to avoid familiarity with the incumbents who are running in the elections. This way, we cannot be accused of being partisan. This is also for the benefit of the organization,” Carlos said on Wednesday. Affected by the orders were S/Supt. Dante Novicio of Leyte who was reassigned to Samar province; S/Supt. Nicholas Torre III,Samar police director who was assigned as chief of the regional operations division; and S/Supt. Felix Diloy of Eastern Samar who was replaced by S/Supt. Lito Bigoy. The new police provincial director for Leyte is S/Supt. Rolando Bade whose previous post is now occupied by Torre. Diloy, meantime, was temporarily assigned at the Regional Personnel Holding and Accounting Unit. Of the three affected police provincial directors, the most controversial was Torre who engaged Calbayog City Mayor Ronald Aquino of verbal tussle, accusing him of favoring Samar Governor Sharee Ann Tan. Torre, however, denied the allegations saying he was only doing his functions as a police provincial director. Not affected by the movements were the police provincial director of Biliran, S/Supt.Julius Coyme, Northern Samar, S/Supt. 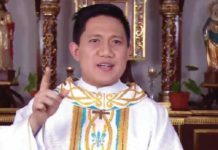 Reynaldo de la Cruz; and Southern Leyte, S/Supt. Nelson Eucogco. The three police provincial directors are only at their present assignments of less than a year reason why they were not affected by the movement, C/Supt. Carlos said. Carlos, however, said that the affected police officials should not considered their transfer as they were relieved. “It’s not they are being relieved. After the elections, the possibility of putting them back is still there,” he said, adding that all were designated in acting capacities. Meantime, Carlos said that he issued a directive to all police provincial officials to ensure that that conduct of the elections at their respective areas would be peaceful. “They should follow the instructions of the leadership. Make sure that they will be nonpartisan and keep (the elections) peaceful,” the regional police director said.